Rotimi Amaechi, director general of President Muhammadu Buhari Campaign Organisation, has described former president Olusegun Obasanjo as a patriot. The former Rivers governor said Obasanjo is the only Nigerian that loves the country. 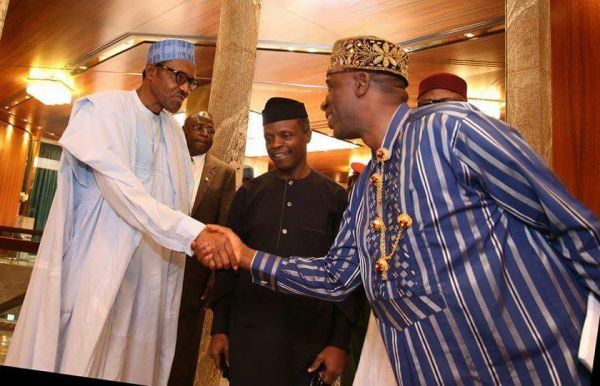 Amaechi, who is the minister of transportation, made the remark in an audio clip released by Reno Omokri, former media aide of ex-President Goodluck Jonathan. “I don’t think Nigeria can change, a lot of Nigerians are cowards. You know why Nigeria can’t change, it’s that the elites… and a lot of you are either elites or potential elites,” Amaechi said in the clip. In previous audios, Amaechi was heard saying the only way Nigeria can change is for everybody to be killed, and he also described Lagos state as a glorified village. Listen to the new audio below.